If you have one dollar only in your pocket, you may want to preserve it. However, if you are entirely confident about a fact, there is nothing to risk betting your last coin, right? That is the line of reasoning behind this expression, which I have read for the first time in a Facebook message sent to me by my American cousin (Hi Marco, how you doing?). I’d bet my bottom dollar means being absolutely sure about the outcome of, say, a situation. Literally, bottom is the deepest or the lowest part of something. In this case, “bottom” is a metaphor for “the very last coin”, the one that lies lonely at the bottom of your wallet. For example. 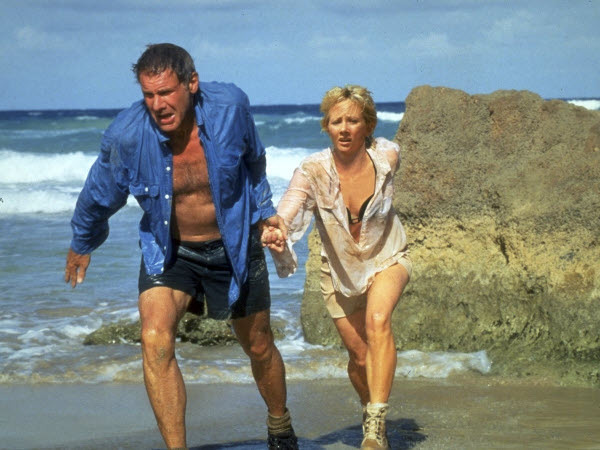 Have you ever seen the movie Six days, seven nights (1998), starring an overweight Harrison Ford and a skinny Anne Heche? Two of them, they argue, they fight, they apparently hate each other. What else could happen? No doubts. At the tenth minute of the movie, I’d bet my bottom dollar they will fall in love! A man, a woman, a desert Island. And suspense? If you want, you can use this expression also as an answer. “Do you plan enjoying some relax after the exam?”, ask a student to another student. “You bet your bottom dollar”, he answers, looking at the books on his desk and the pillow on his bed. In conclusion, I encourage my readers adding this flexible sentence to their English toolbox. I find it a great trigger to start a conversation, or to express agreement in a colloquial way. And now I’d bet my bottom dollar that my cousin Marco, who is now reading this post, is smiling.